Coumadin, a medicine also known as warfarin, helps to prevent blood clots. Doctors may prescribe Coumadin for people who have had blood clots or have a high risk of developing blood clots, such as those with abnormal heart rhythms or other heart problems. Vitamin C can have a negative effect on warfarin’s function, but only when consumed in very large amounts. Some evidence has shown that too much vitamin C from supplements and food can decrease Coumadin’s effectiveness, according to MedlinePlus. But decreasing this medication’s effectiveness can put some people at greater risk of blood clots. The evidence regarding vitamin C's interaction with Coumadin remains controversial, however, according to the Linus Pauling Institute at Oregon State University. Furthermore, the University of Maryland Medical Center suggests that doses of vitamin C up to 1,000 milligrams per day have had no effect on Coumadin's function. If you are taking Coumadin, talk to your doctor about taking vitamin C supplements or eating foods rich in vitamin C. Have your blood tested regularly to check the effectiveness of Coumadin. This way, your doctor can monitor the medication’s effectiveness and change your dose if necessary, notes MedlinePlus. Finally, inform your doctor of any recent vitamin C or other supplement use, because high intakes of vitamin C may interfere with the interpretation of some laboratory test results, notes the Linus Pauling Institute. Limit your intake of vitamin C to 1 gram, or 1,000 milligrams, per day while taking Coumadin, recommends the Linus Pauling Institute. This amount far exceeds the minimum recommended daily intake of 90 milligrams for men 19 and older and 75 milligrams for women 19 and over, and leaves room for commonly used supplementary doses. A variety of foods can alter Coumadin’s function in your body, including mayonnaise, cooking oils, green, leafy vegetables, cranberry juice and green tea, according to MedlinePlus Medical Encyclopedia. Some over-the-counter or prescription medications may have negative interactins with Coumadin, so discuss any medications you are taking with your doctor. Do not drink alcohol while taking Coumadin. Vitamin C can increase the side effects of estrogens and decrease the effectiveness of fluphenazine, cancer medications, AIDS medications and cholesterol-lowering medications. 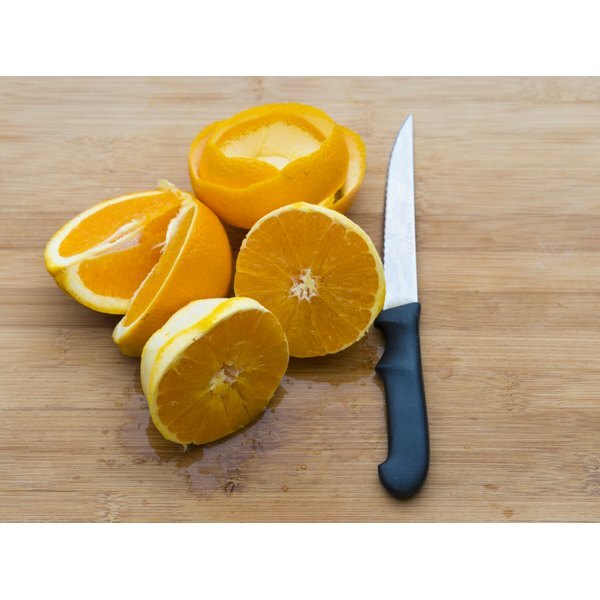 Vitamin C can also have minor interactions with Tylenol, aspirin, choline magnesium trisalicylate, nicardipine, nifedipine and salsalate, according to MedlinePlus.